He may be handy with a guitar and have a voice like silk, but when it comes to getting on with the neighbours, it seems singer-songwriter Ed Sheeran may still have his work cut out. The singer, who has stormed the charts with tender ballads such as ‘Thinking Out Aloud’ has angered neighbours with a ‘pond’ which they claim could be used as a swimming pool. Sheeran built the feature near his Suffolk mansion last year and sought retrospective planning permission. He claimed that the feature would be used to support wildlife conservation, and he received permission from the council on the condition that the pool wouldn’t be used for swimming. Now, however, neighbours have complained that the feature is a lot different from the letter of application received from Suffolk Coastal and looks like a swimming pool. They’re worried the pool will be used for swimming when summer arrives and have raised their objections with planning officials, stating that the pool would be detrimental to wildlife and to the surroundings. Sheeran added a jetty and a set of steps to the feature recently. In his application, the jetty was described as being there to ‘form interest’ and the purpose of the steps was to help when cleaning the pond. Permission was granted for both. Sheeran’s application also stated that the pond was home to ‘well established’ water plants and ‘an array of wildlife’. As well as the jetty and steps, shots of the development from above reveal what appears to be a changing room by the pool. It’s not the first time that Sheeran has come under fire over building issues. Last year, he caused concern with the submission of a planning application — placed under the name of his girlfriend’s father, Matthew Seaborn, who is an architect — to build a private chapel where he could marry his fiancé, Cherry Seaborn. The Suffolk Wildlife Trust had voiced worries that the development would disturb a colony of Great Crested Newts. To the relief of the trust, the council rejected the application on the grounds that the chapel clashed with the character of the landscape. The chapel, which would have seated 24 people, was also believed to cause potential light pollution and may have come across as a second village church. It’s also not the first time that Sheeran has been the subject of complaints from neighbours. Some have commented to the press that they’d complained about loud music coming from his property last year. Others state that they see the current development of the site has more to do with developing a wild lifestyle rather than conserving the wildlife. 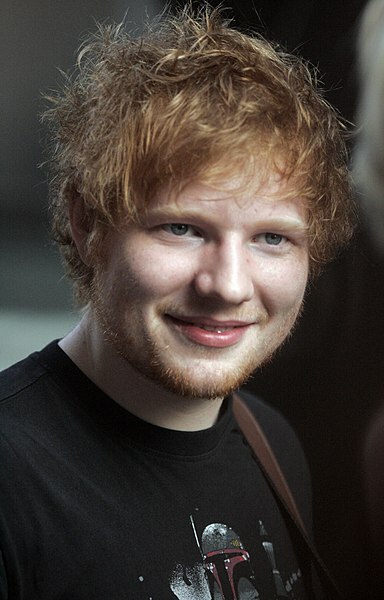 The Press have requested comments from Sheeran’s team, but are yet to receive a reply.